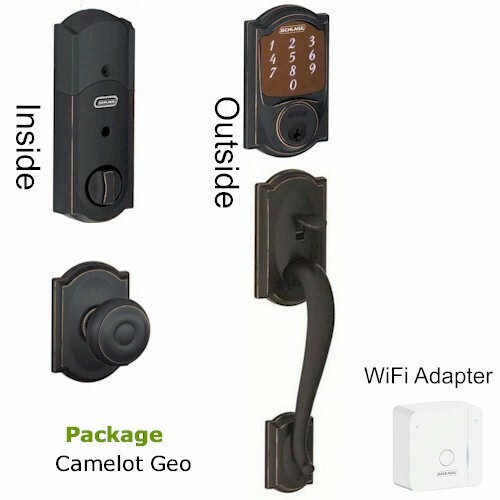 Passage lever or handle set with Sense deadbolt smart lock and Wifi adapter make the perfect WiFi lock for your residence. User must have Smart phone and internet with Wifi capability. 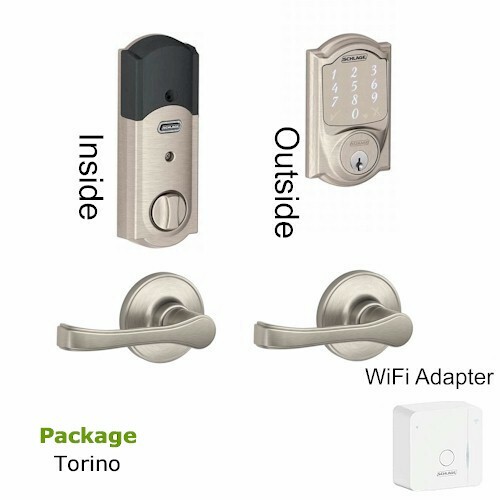 One Wifi adapter can support two locks. Plugs in to power outlet. (must be within 40 feet of locks). Allows to operate from a remote location. Must download Schlage Sense app. Get more information from Videos on tab above. 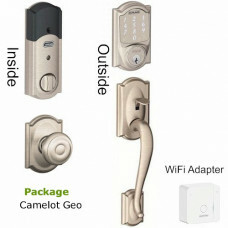 Smart Deadbolt available in other styles and with other trims. Contact our us for details. Backset - 2-3/8" or 2-3/4"
Schlage GF3000SM DMS MSB (Surface Mounted) Surface mounted shear lock intended for use on outswingin..
Schlage GF3000TJ - Surface mounted shear lock forTop jamb unit (inswinging doors). Magnet mounts on ..
Schlage GF3000BRD - (Bottom Rail Door): Fully concealed shear lock intended for use when top of door..
Schlage GF3000BRD - Mortise Mount Shear Lock features a patented design offering advances over any S..